This series of workshops covers the entire set of Adobe Analytics (formerly Omniture SiteCatalyst) modules, and is suitable for business, project and/or technical teams. These modules are only available as intra-company workshops. We can host workshops anywhere in Europe, either in English or in French. All of our training workshops are eligible for DIF and OPCA funding. 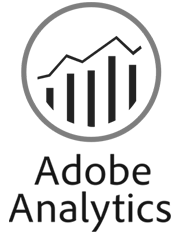 Adobe Analytics and the Adobe Analytics logo are trademarks of Adobe Inc.
Want to know more about Optimal Ways?